This article is about a former Indian cricketer Dilip Sardesai, who is regarded as a great batsman of spin bowling. Here is given the profile, cricket career of Dilip Sardesai who also played first class cricket for Bombay. Dilip Sardesai is a former Indian Cricketer who played for India in Tests in 60's. He is a right hand batsman who was regarded as a great batsman of spin bowling. 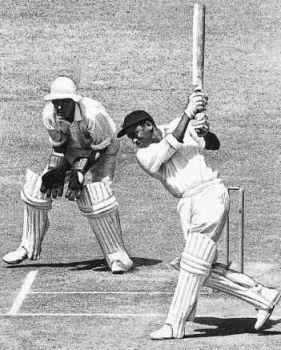 During his debut in International cricket against England in 1961 at Kanpur, he become the first cricketer from Goa to play for Indian Test Team. In his test career of 30 Test Matches, Sardesai has maintained his performance about a decade until 1972 when he retired from all type of cricket. In 1970-71, when Indian team toured West Indies, Sardesai played an inning of 212 in first test which is also his highest score in Tests. He hit another century in the second test which led to India's first victory over West Indies. He made 642 runs in the series. After it he also made a good contribution in the match against England where India defeated England in the series. Dilip Sardesai played for Bombay in First Class cricket. He scored over 1000 runs in three domestic seasons. During his period, Bombay won Ranji Trophy for ten times.